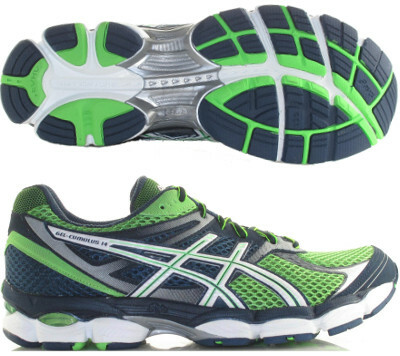 Asics Gel Cumulus 14 are neutral cushioned running shoes. The Asics Gel Cumulus 14 is the reference model for neutral runners looking for great support and cushioning when going for long distances. Although not a premium product like the Nimbus 14 it provides an exceptional fit and feel also valid for everyday training. The most interesting change in this version is the improvement in flexibility and stability thanks to Solyte midsole which makes it lighter and with a lower profile. Drop has been reduced to around 9 mm offset and in combination with new Asics' Guidance Line through the entirety of the sole both feature an even more responsive shoe intended for a natural ride.